Today is World Kidney Day. Lets take this day and pay respect to all patients who are living with kidney disease day and night. 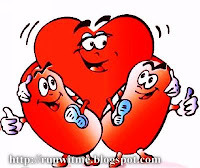 Lets take this time to honor the family members that are also involved in the care of the patient with kidney disease. In the last 4 decades, the kidney disease community has come a long way. Somewhere along the way, many lives were touched and many lives changed. The care of the kidney patient is much different now then it was 50 years ago. 1. A much more affordable treatment modality that can sustain life with dialysis in the ESRD patient. 2. Much more successful and sophisticated outcomes of kidney transplantation. 1. More dialysis is better and the data keeps pouring in on that. 7. Late vs early initiation of dialysis question perhaps answered?